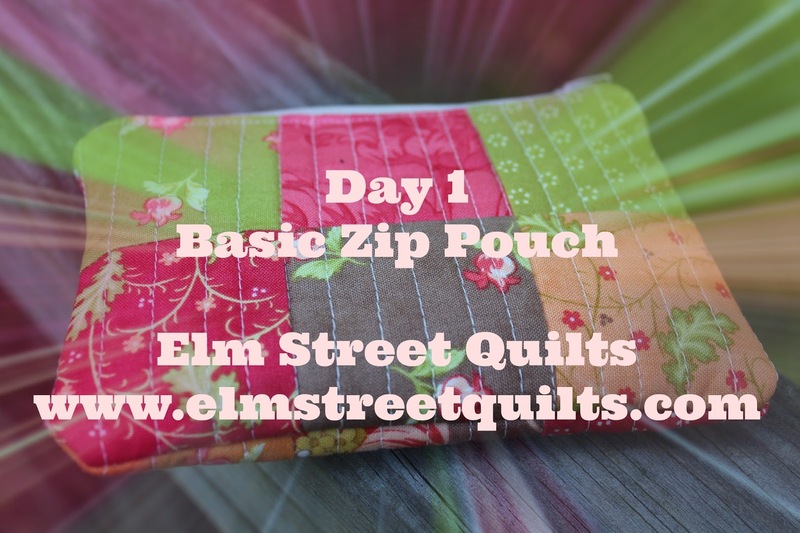 Today we are going to learn the basics of building a simple zip pouch. Throughout the month of November, we will build on the basics of this tutorial to create bags of different shapes and sizes. Let's get started!! Our basic zip pouch will finish at 4 x 6 '' - the perfect size for a smart phone or to keep things organized in your purse. For this bag, we are going to use a collection of mini charm squares - any 2½'' squares will do. 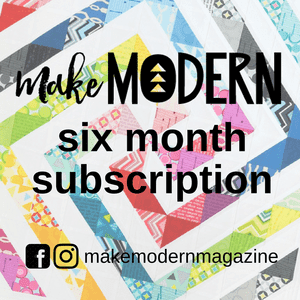 Assemble your squares in two different arrangements (for each side of the pouch) and sew them together. Press each piece. They should measure 4½ x 6½''. Carefully place a piece of fusible fleece with the adhesive side against the wrong side of the fabric piece. Place a second piece on top, again with the adhesive side facing down. I find two pieces of fusible gives the bag great stability. Iron to adhere the fusible to the fabric. And then trim as needed. 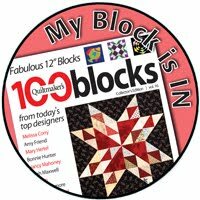 Quilt your fabric pieces. This bag was quilted at roughly 3/8''. Prepare your zipper as per the instructions on this post on zipper tips and techniques. As you can see in the photo below, we used a larger zipper and finished off the edges neatly. You'll need a prepared zipper that measures 6'' (or slightly less) to allow for 1/4 '' on either side of the bag fabric. 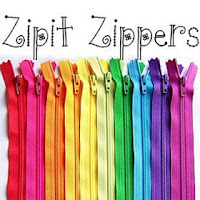 Pin the zipper to the outer fabric, zipper pull side down. See how the zipper is open? Try and keep it that way! Place lining on top, right side of lining down so it faces the right side of the outer fabric. Carefully sew the zipper, starting and stopping 1/4 '' from either side. See that zipper nestled inside? Here is what it looks like when you lay things flat. Now repeat to attach other side. Lay bag out flat and use pins align lining with edge of bag. Now before taking that next step, OPEN that zipper!! You'll need it open to make sure you are able to turn the bag inside out. Pin the outer bag fabric together and pin the lining fabric together. The zipper will be in the middle. See the area at the top of the photo with the two sets of double pins? Don't sew between them - you'll be using that opening to turn your bag inside out! The distance between the pins is roughly 2-3 ''. Starting at one of these double pins with a back stitch to secure, carefully sew all the way around. When you get to the transition area between the lining and the outer fabric, take it slow. You don't want to catch the fabric zipper stop. Here is what it will look like when you are done. Carefully reach into that hole and start to pull the bag through. Take it slow so nothing tears and just keep working it. It will fit. And if it doesn't, break out that seam ripper and take off a few stitches. Look at how pretty everything looks! You've two choices to sew up the hole in the lining. A couple of small whip stitches by hand will take care of it. 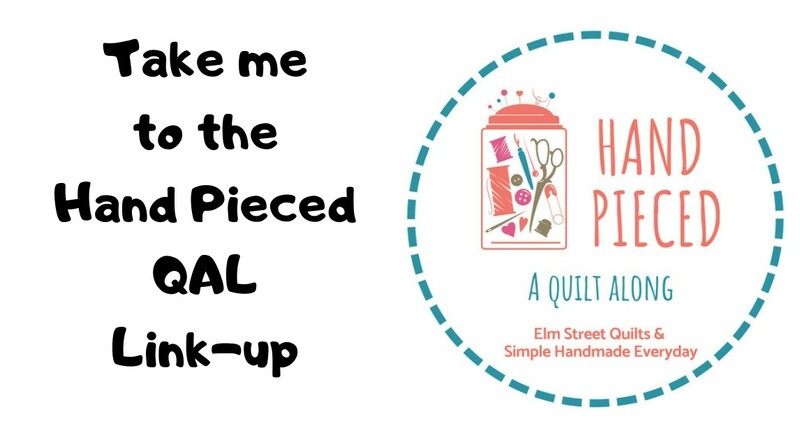 You could also pin it together and sew it on your machine, being careful to backstitch on each side. Wasn't that fun and easy? Now it is your turn! Coming later this week, we'll discuss how boxing corners can change the shape and size of your bag! I am going to love following along with these posts. Hopefully I'll find time to join the fun. This is perfect! Just what I was looking for! Thank you! So cute pouch and fabric.Great tutorial,easy to follow! Thanks for the great tutorial! I have never made a bag of any kind before, but I am dying to learn! Gotta go get some fusible fleece and a zipper!! Oh boy!! Yeah. I have a mini charm pack that will be perfect for this. Thank you for your tutorial.I am looking forward to all the bags. Thanks for a very good tutorial. I have some candy packs that I could use. Thanks for the inspiration, I finished the sweetest pouch this morning! I wish I could find zipper by the yd. It would make life easier.